Your card is gorgeous! 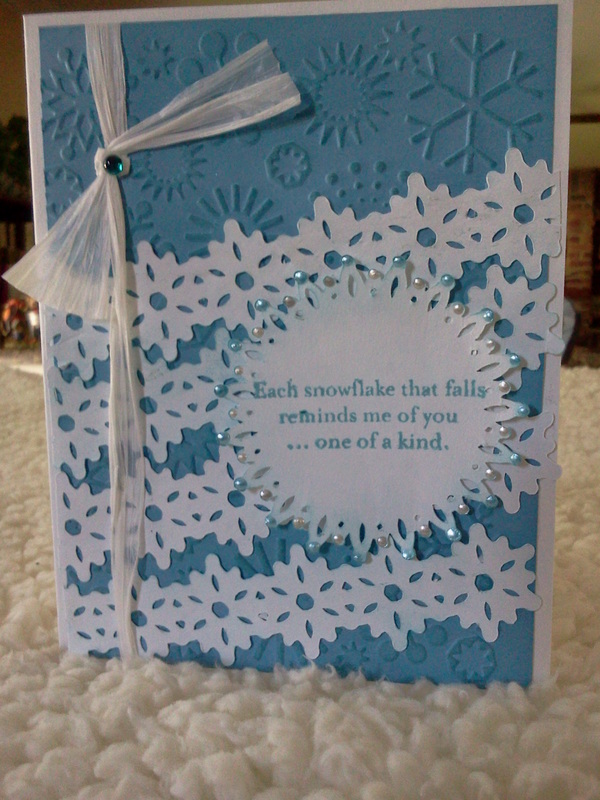 Love the lacy look of the snowflake strips. Using the liquid pearls around the sentiment really sets it off and add sparkle. You must have a steady hand to get all of them the same size and so perfect. Oh My Goodness, what a pretty card. A lot of Liquid Pearls there. I could have never gotten them so uniform. A job very well done. Beautiful elements that work wonderfully together! Love it all, the embossing, the ribbon, the cut out strip – wonderful!